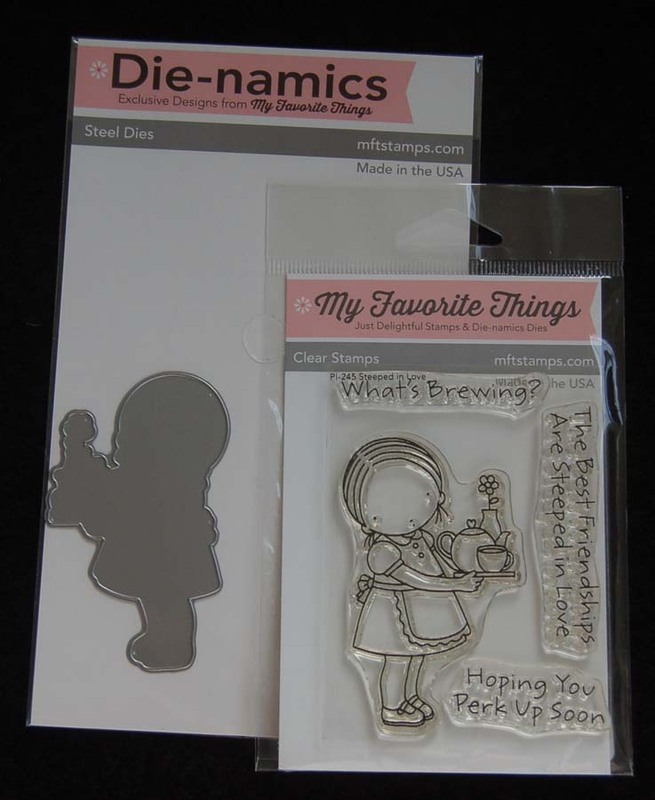 It's a Card....It's a Tag....It's Both! 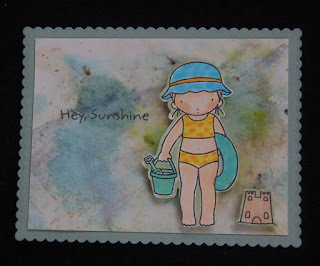 Here is the third in my series of cards I made using my ink test pieces for backgrounds. 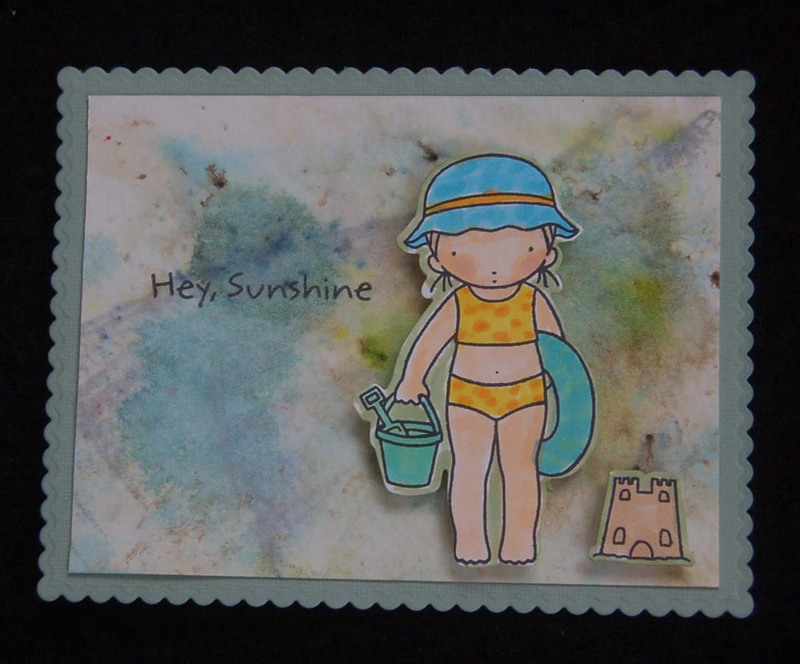 At first I was just going to make a tag, but then I liked the look of the tag so much that I decided to turn it into a card. 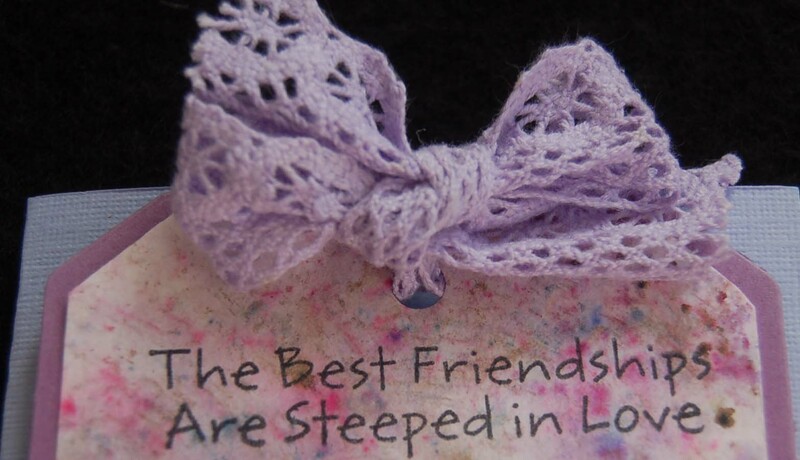 I punched holes through both layers of the tag (one cut with a Little B tag die, the outer purple layer hand cut) and through the card too. I was then able to use a piece of lavendar lace to tie all the layers (over the top of the card) together. 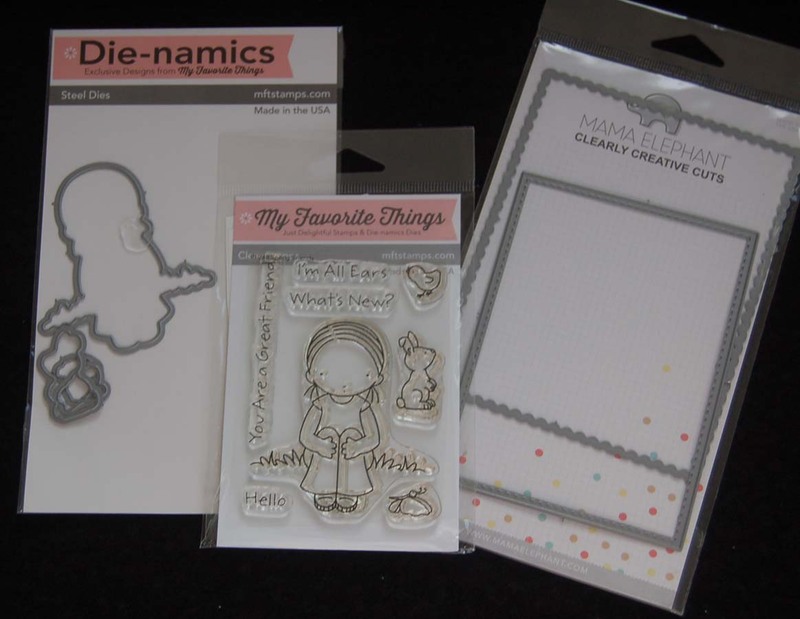 This simple technique allows the recipient of the card to detach the tag and use it on another gift or gift bag. 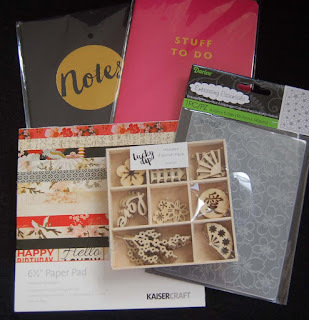 I love it when my handmade cards can be used more than once...makes all the work seem worthwhile. The die that coordinates with this stamp set is one of the older styles with a solid back. This makes aligning the die with the image a little tricky, but it's still easier than fussy hand cutting. If the white edge of the die cut image really bothers me, I color it a bit with a Copic color that blends in with the background. That's my tip of the day! 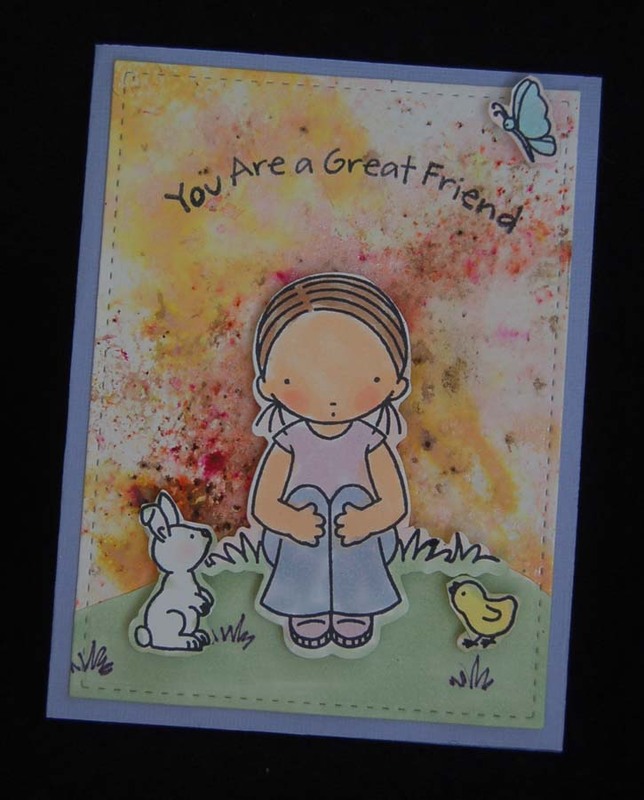 As promised, I am posting another card using a piece of watercolor paper that I used to test some inks, sparkle sprays and stain powders. Again, I used one of the Mama Elephant rectangle dies....this one impresses stitching lines along the edge. My Favorite Things stamps and dies are great because they are cute and simple to color...also they come with useful sentiments. 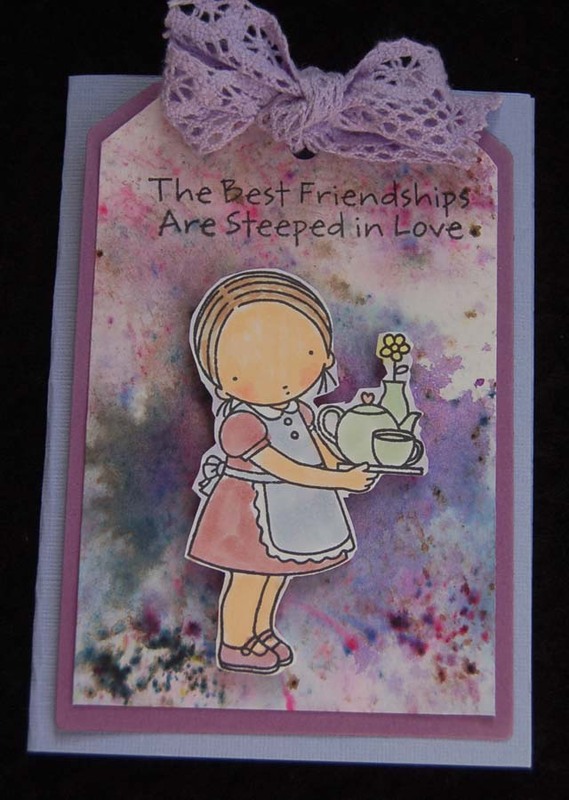 Because of the background, this card is a one-of-a-kind that I will happily add to my stash of all occasion cards. 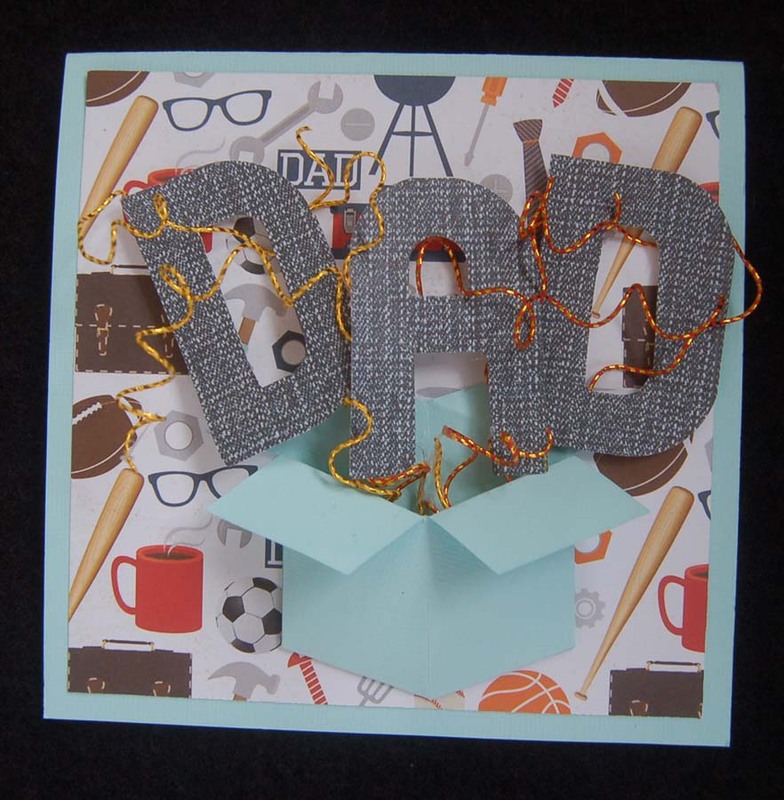 Happy card crafting! 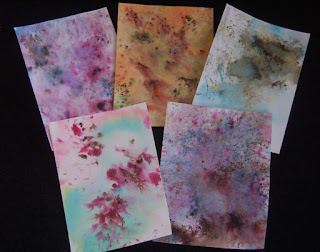 I've been testing some new dyes and stains, Distress Oxide, Infusions powder stains, and Altnew Ink Sprays to learn about their properties and interactions with each other. I tested them out on moistened watercolor paper. The results were very exciting as you can see below. 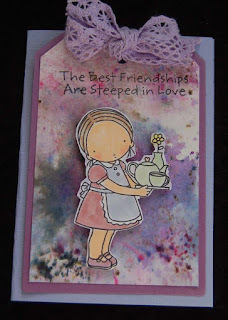 I used one of the tests for a background of the card above which used My Favorite Things stamps and dies. Although you cannot see the subtle shimmer of the sprays, they worked well to add a mystical touch to the papers. I especially loved the powders for the way they bled out giving a real organic feel to the colors. 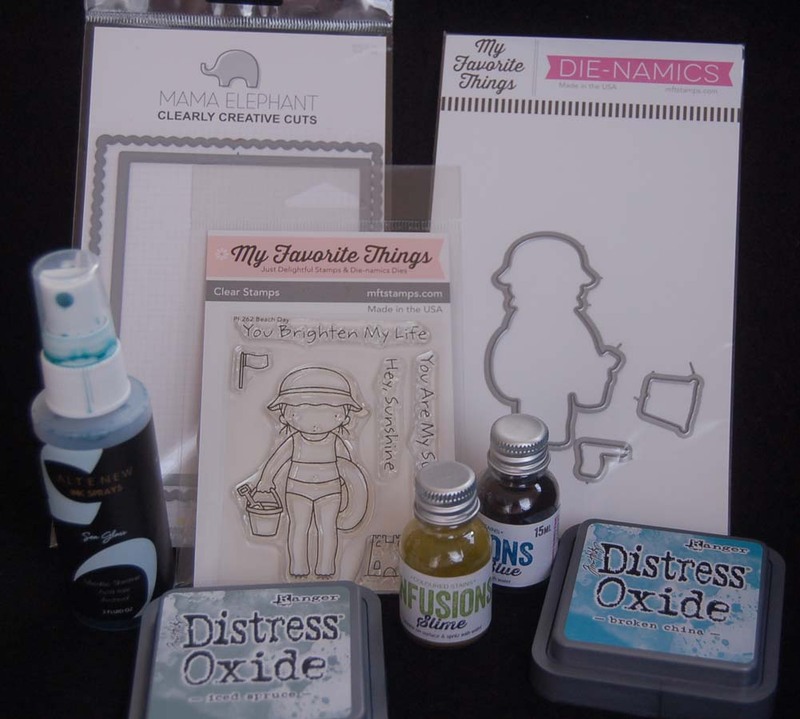 The Tim Holtz Distress Oxides come in a tin with a cloth pad which is great for doing backgrounds but I hope they will eventually be available as ink daubers. Right now HM Ben Franklin Crafts does not stock these inks and stains, but I will recommend them to our buyers and hopefully you will see them for sale soon in BFC. 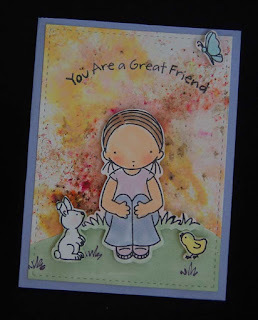 In future posts, I will show you other cards/tags that I made using the test pieces...never let any paper go to waste....LOL! I love the Echo Park Father's Day 12x12 card stock papers so it was a no-brainer that I would use them on a card for my husband (who really is the greatest DAD of all time). 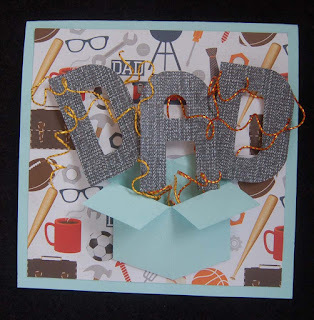 Because I found it so easy to use the We R Memory Keepers Alphabet Punch Board (from HM Ben Franklin Crafts) on my Mother's Day card, I thought I'd use it again on this card. 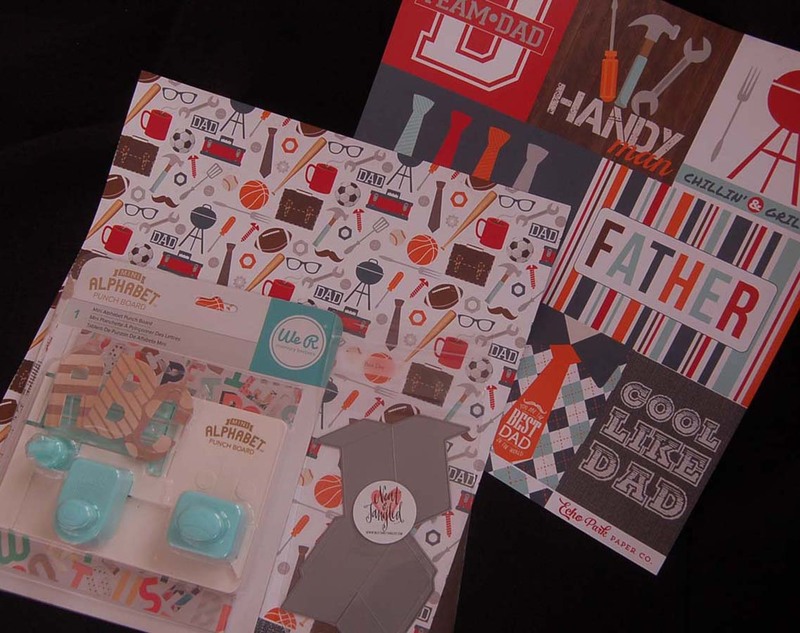 With the addition of the Neat & Tangled Box die cut, I was able to quickly assemble my Father's Day card. The curly 'wires' were made from mizuhiki paper cords (available from BFC or Celebrations) wrapped around a barbecue skewer. Some foam dots were used to adhere the letters. 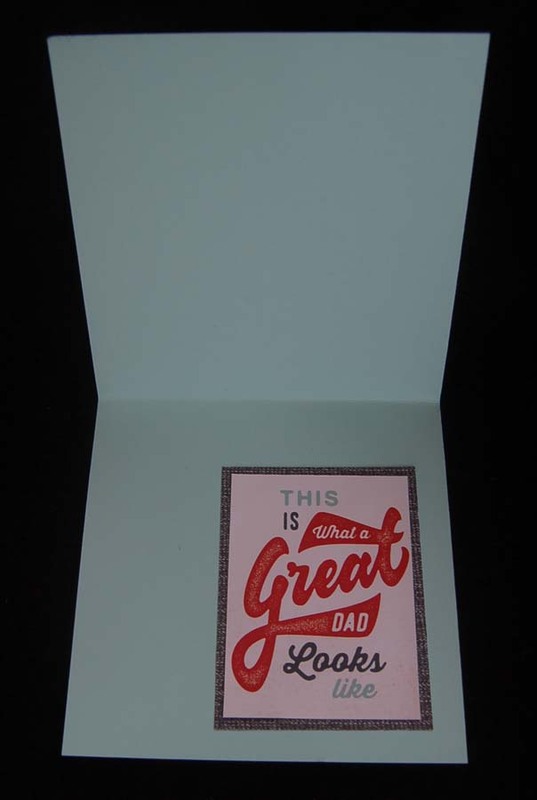 One of the sheets of Echo Park papers had rectangles of printed Father's Day words so I simply cut out a rectangle and used it for the inside sentiment. I plan to add a photo of the 'Great Dad' next to the words. The back of one of the 12x12 sheets provided the grey-black color for the Alphabet Board punched letters. 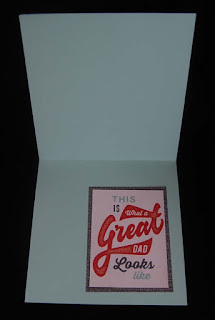 That was it....so simple to make a special card for that special father! 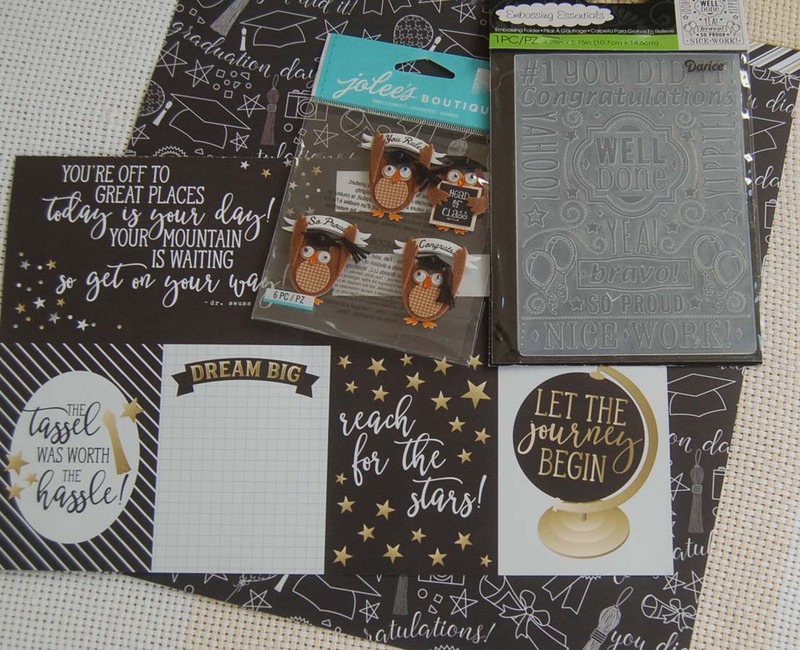 I started by adhering some yummy, cute dessert stickers to the marble print cover and then I broke open the packages of Me and My Big Ideas stickers and Deco Pen. It was easy and fun to pick just the right stickers....and I still have tons more. 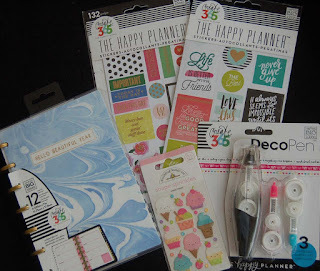 The Deco Pen was similar to the type that I purchased in Japan. It has changeable cartridges but is more designed for a right handed person. As a lefty I had to think backwards to get the words to appear right-side up. 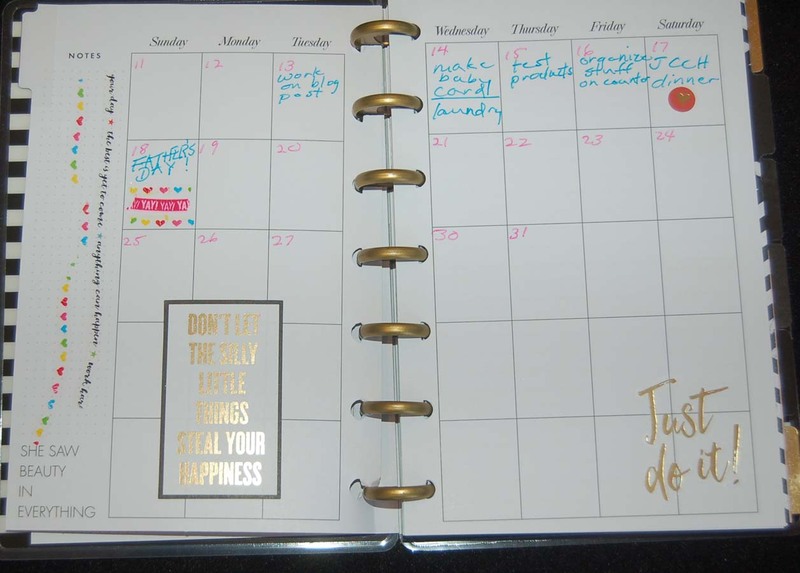 This planner seems perfect for me because the dates are not written in so I can change out the pages if I change my mind and I can even skip a whole month if I don't plan to do anything...LOL! 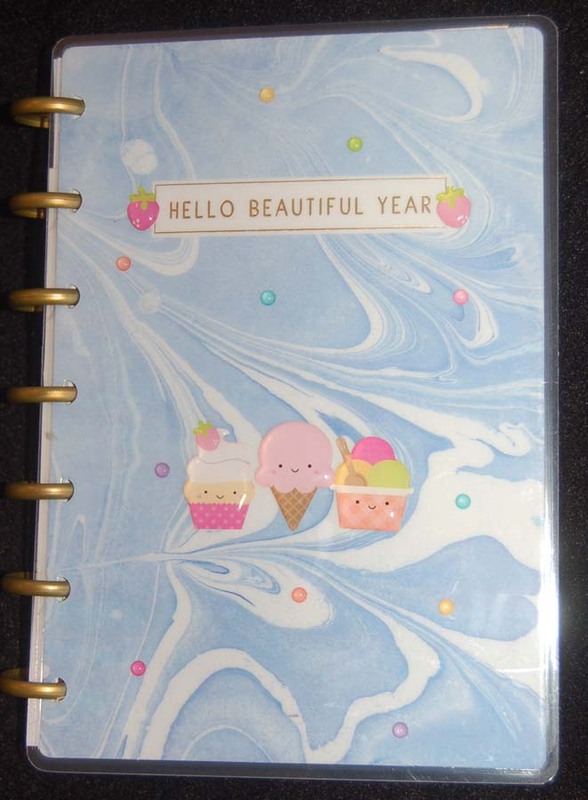 Hopefully, I'll get more creative and snazzy up my planner as I go along.....let's hope I keep it up at least to the end of the year! While in Japan, I purchased a resin ring mold set. It was simple to fill the molds with UV resin and real candy balls (from BFC baking department) and heat setting the rings with a UV light. 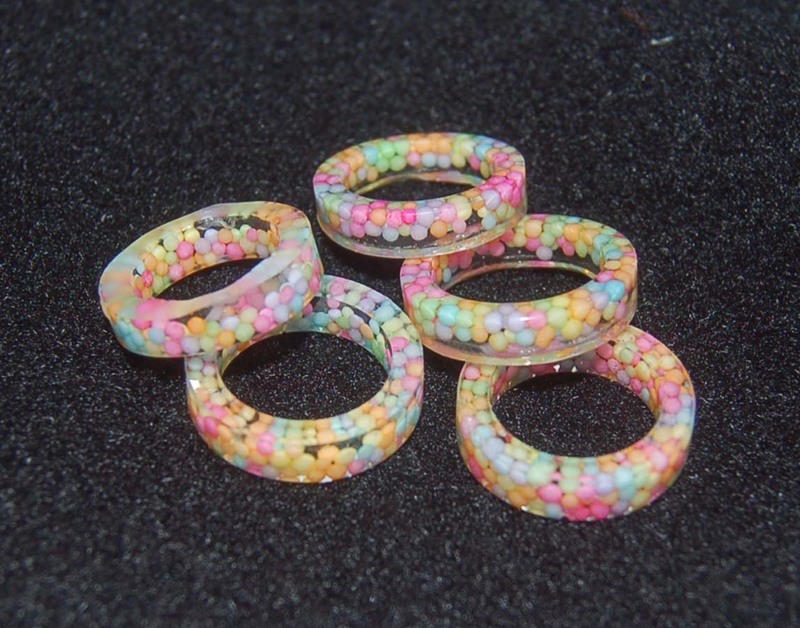 After removing from the molds, rough edges were filed with a glass nail file and then the undersides of the rings were touched up with a bit of resin before curing them under the UV light again. I also experimented with tiny dried flowers and found that they can easily be set in resin too. 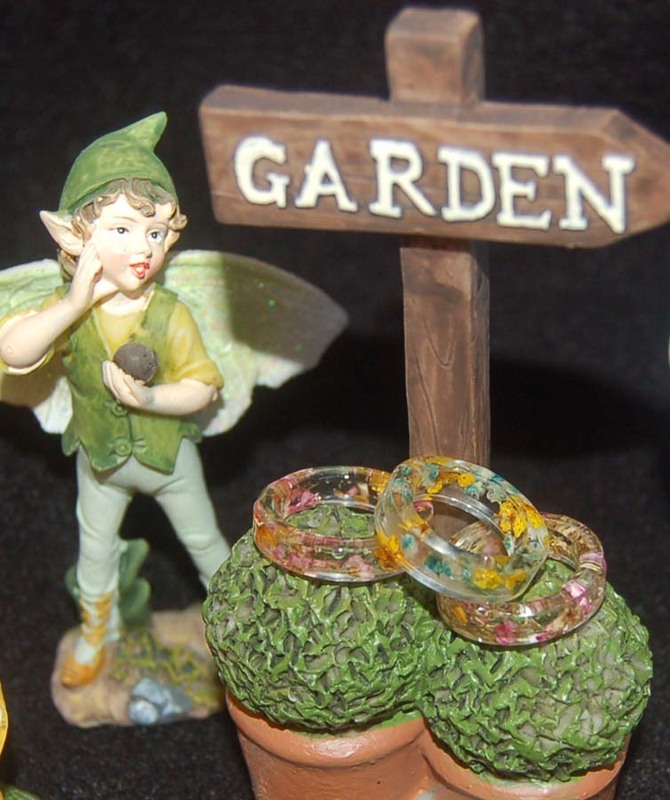 These resin rings can be worn on your fingers or turned into pendants with hanging charms. (I'll show a sample of this when I complete one.) 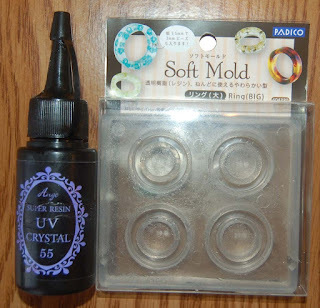 The resin and UV lamp are available at HM Ben Franklin Crafts but the mold may not be. 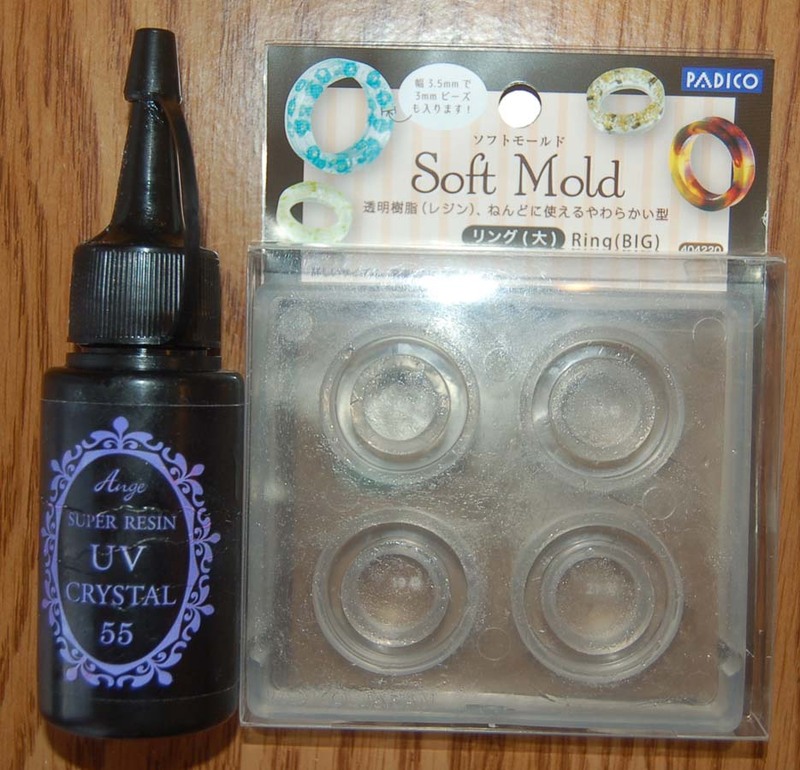 You can find Padico resin soft molds online as well as many other interesting Padico craft supplies. This project started as a birthday card for my niece but evolved into a notebook/card. 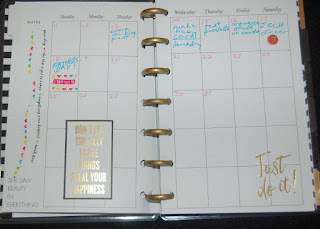 Since she has lots of 'bright ideas' I thought the Studio G notebook would be perfect for her to jot down her great thoughts. The simple lined tablet was very plain so I fancied it up with some KaiserCraft paper and a wooden charm. I wanted the gold 'bright ideas' to still be visible so I used a circle die to cut an opening in the collage of Asian papers and Darice cherry blossom embossed vellum. 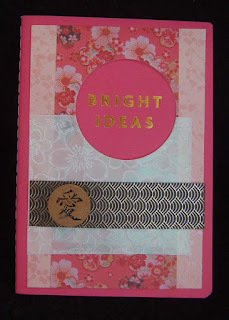 I used some Inka gold paste (sold at BFC a while back) to bling up the wooden Japanese character circle (KaiserCraft). If your Inka paste is dried out (like mine was) just sparingly add some water and it will revive. I plan to write my birthday greeting on the inside of the tablet. This simple card/notebook is a great gift and greeting all in one. 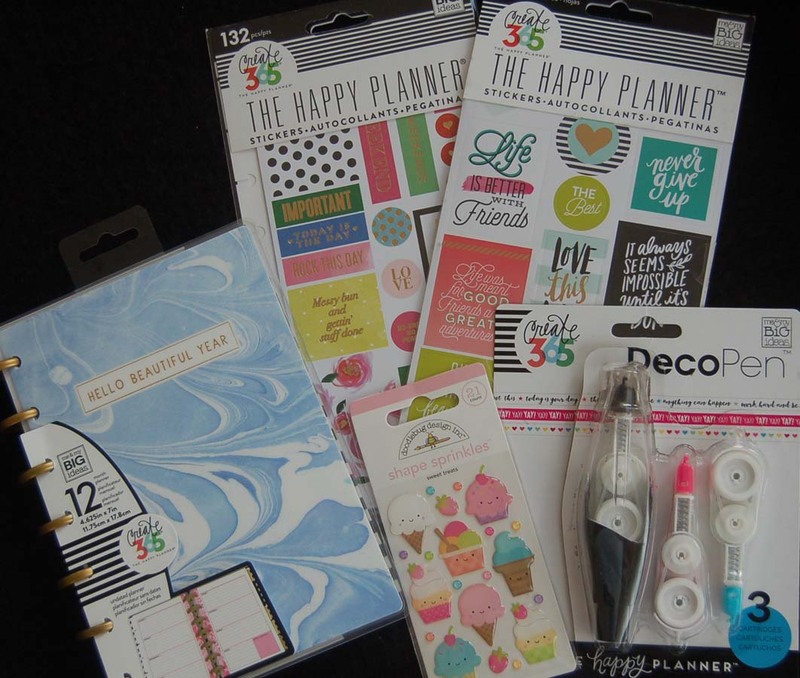 I hope my niece will like it and the erasable Japanese marking pen set which she can use to write down her wonderful insights. I know that this card looks very similar to the last one I posted, but the black and white layout differs in sequence and direction. 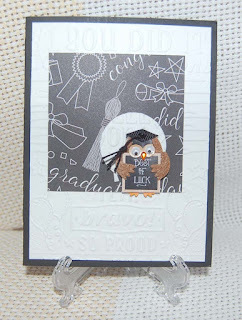 I wanted you to see how easy it is to vary the look of the card so that if you are giving cards to many graduates in the same class, they won't feel that it is a 'cheap sale' card. 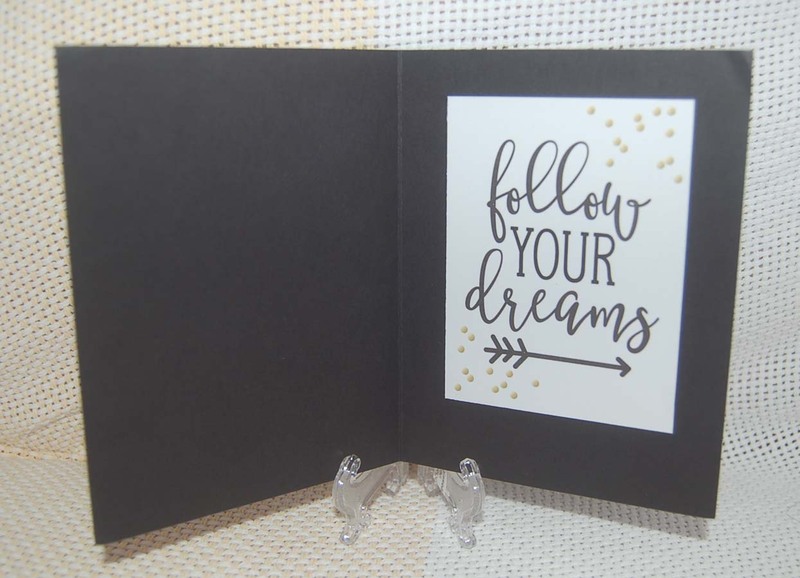 I like that the sentiments (from the backside of the same card stock) are easily cut out and adhered to the inside of the card...easy-peasy! Don't freak out if you have dozens of graduates and don't have time to make leis for all of them....they like cash anyway and don't really save cards, even handmade ones ;( !!!!! !